Teri Galvez President of Paradigm Event Management was introduced to Washington DC in 1983 as a Fall intern with the Congressional Hispanic Caucus. After college she moved to Sacramento and began her career as the Scheduling Coordinator for the California Republican Party, responsible for securing and placing speakers at the various political events held throughout the state. She also handled advance work for special events and conferences. In 1985 after attending the Inaugural of President Reagan, she decided to remain in Washington DC where she initiated a career in hospitality at the Georgetown Inn, a small hotel in historic Georgetown. She went on to become Sales Manager at The Westin Grand, and subsequently The Park Hyatt hotel. At the Park Hyatt she was solely responsible for developing the Entertainment market. Ms. Galvez created a special niche for herself by knowing the players, cultivating relationships, and earning the trust of her clients in the recording industry, motion picture studios, and tour managers. She has handled everyone from Madonna, Guns N Roses, to Placido Domingo, and The Grateful Dead. She was a Sales Manager at the “famous” Watergate Hotel for over six years responsible for expanding international Markets, Embassies, the West Coast corporate market, and the entertainment industry. In addition to handling on-site logistics for the NAFTA negotiations she assisted with numerous visits by Heads of State including South Africa, Croatia, Austria, Indonesia, and Honduras. Other dignitaries included the King and Queen of Sweden, The Palestinian Peace Delegation, and various motion picture film shoots; Forrest Gump, In the Line of Fire, and Absolute Power. Through regular sales visits to Mexico, Argentina, Chile, and Brazil she has established business and political contacts throughout Latin America. In October of 1996 she launched her new Marketing, Special Events and Conference Planning Company, Paradigm Event Management. Among her clients are Fortune 500 Companies, Non-profits, and National Associations. She is married and two very pampered Yorkies, “Xuxa”, who has her fair share of domestic and international “frequent flyer” points and “Zsa Zsa” a recent addition, who is quickly catching up. Teri serves on the Advisory Board of the National Foundation for Teaching Entrepreneurship, is Vice Chair of the District of Columbia Republican Party and served as a delegate to the 2004 Republican Convention. Teri is also Executive Director of Miss District of Columbia Scholarship Organization, a preliminary to Miss America. 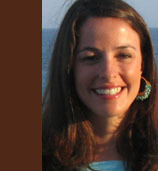 Lisa Garnett holds five years of event planning experience. She has been working exclusively on event planning and execution since 2005 and joined Paradigm Event Management soon thereafter. She has extensive experience in project management, subject matter research and analysis, budgeting, and contracting and has coordinated a wide variety of events, such as weddings, galas, and community celebrations. Lisa began her career as a management consultant in the defense industry, working for DFI Government Services, based in Washington, DC. There she managed contracts with budgets ranging from $80,000 to $300,000, overseeing research and analytic projects and coordinating the execution of conferences and seminars with high-level senior leaders within the Pentagon. Originally from Florida and a graduate of the Lawrenceville School of Lawrenceville, New Jersey, Lisa holds a Bachelor of Arts degree in Government from Georgetown University. Sirena Scales is a professional journalist and writer with seven years of writing experience to her credit. Sirena is a former financial journalist whose previous experience includes covering the Securities and Exchange Commission for an online publication at Thomson Financial specializing in the Securities and Exchange Commission and Sarbanes-Oxley compliance. In addition to her work at Thomson, Sirena spent three years as a weekly contributor and columnist to Hispanic Link News Service, a national news service writing about Hispanics in the United States. 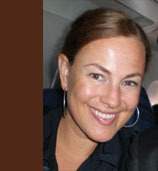 She has also written for Latina Style magazine, Mexicofile online travel magazine, and Pacific News Service. Before joining Thomson in January 2007, Sirena spent three years as a reporter at Tax Analysts Publications, a financial publishing company where she played in integral role in the launch of Financial Reporting Watch, an online publication analyzing Sarbanes-Oxley compliance. During her time at Tax Analysts, Sirena also doubled coverage of the Latin American region at TaxNotes International magazine, with a primary focus on covering financial developments in Latin America, as well as covering breaking news on Capitol Hill. 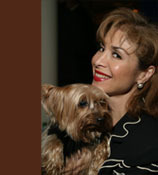 Prior to joining TaxNotes in 2003, Sirena was director of communications at the National Association of Hispanic Publications (NAHP), an organization representing Latino publications and publishers. Sirena was a key component in developing NAHP’s media and communications strategy in both Spanish and English, fielding media queries; creating and designing NAHP’s Hispanic Print magazine; and scripting NAHP officials’ event appearances and media opportunities. Sirena also assisted in the planning of NAHP’s national convention, regional events, and board and organizational events. At NAHP, Sirena honed her public relations, communications and event planning skills, from basic logistics to overall script writing. Before moving to Washington, D.C. to manage communications at NAHP, Sirena was a reporter and copy editor at El Mensajero weekly newspaper in San Francisco, Calif. writing for the Bay Area’s Latino market. At El Mensajero, she coordinated classified ad sales, promotional events, and new section launches while writing full time for the editorial section in both Spanish and English. Sirena was born and raised in Mexico, and holds a Bachelor of Arts degree in Print Journalism with a minor in French Studies from American University in Washington, D.C. She was metro editor at American University’s award-winning The Eagle newspaper, and is currently a member of the National Association of Hispanic Journalists and the National Press Club.